Day 17 of 31 Days of Simple Organization. I had a fun question from a reader and decided to answer it as part of my simple organization series! Trisha, that’s a great question! If I had to sum up an answer in one word, it would be this: Pinterest. I absolutely LOVE using Pinterest to keep my ideas organized! I have a board for homeschool ideas, a board for recipes I want to try, another for recipes I’ve made, one for writing/blogging, a board of books to read, and so on. In fact, I wrote an entire article about Pinterest organization here – it includes information about how I organize some of my boards as well as tips and tricks for how to keep from getting overwhelmed or feeling inadequate when you’re browsing your homepage. In addition to how I personally organize Pinterest, some people have a board for each of their kids, so they can easily pin as they come across great stuff. As far as blogging and business ideas, you may want to consider purchasing a blogging planner. I absolutely love My Blog Plan and use it every day! You can read a full review about that planner here. If you want something that you can print directly from home (just don’t forget to factor in the cost of ink and paper), then you’ll probably love something like this printable blog planner from Multi Taskin’ Mom. I hope that helps you, Trisha! 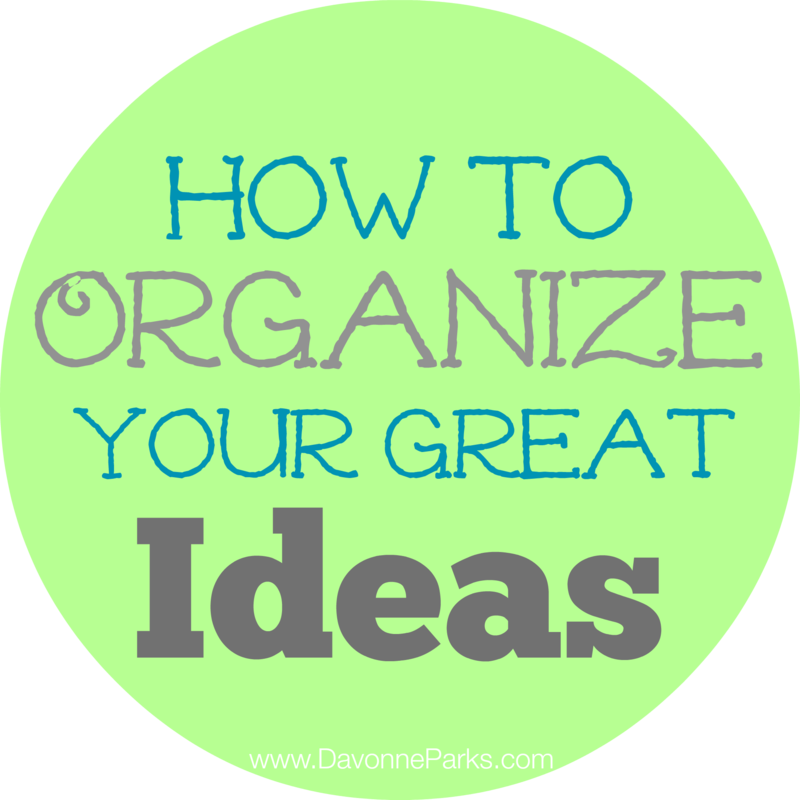 Let me know if you have any more questions about organizing your thoughts and ideas! Do you have any questions about simple organization? Let me know in the comments or contact me and I may feature your question next! Thank you so much for mentioning The Complete Blog Planner! I pray it has been helpful to you and your blog! You’re so welcome, Stephanie! It’s a beautiful planner! Davonne, we’re tickled you love My Blog Plan! Thanks for sharing about it in your post. In case you didn’t know, we have a free series to help you grow your blog. You can sign up at http://hedua.com/contact/workyourblog. Will be pinning this to our Organization board on Pinterest and sharing with other social media. Thanks again!